The Minky Black Eyed Booby is a buoyant fly usually best fished on a Sinking Line and a very short leader no more than 50 cm or 20 inches. (20”). Gentle twitching will cause tantalizing movement of the Minky Tail with devastatingly effective results. Your booby fly can be presented hovering temptingly just above the bottom, where the fish are often lying, especially during the winter and early season. When your booby is out and settled, give it a little twitched retrieve, 10 to 20 cm (4 to 8 inches) which gives the booby 'life' and attracts attention. 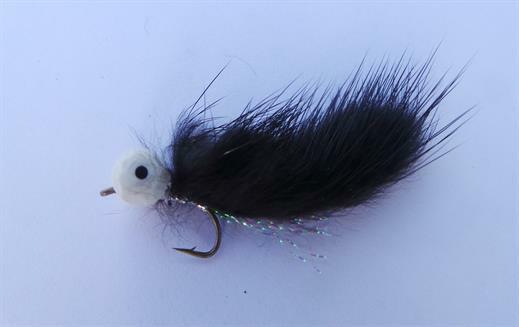 Currently there are no comments about the Minky Black Eyed Booby fly pattern from other fly fishermen yet.